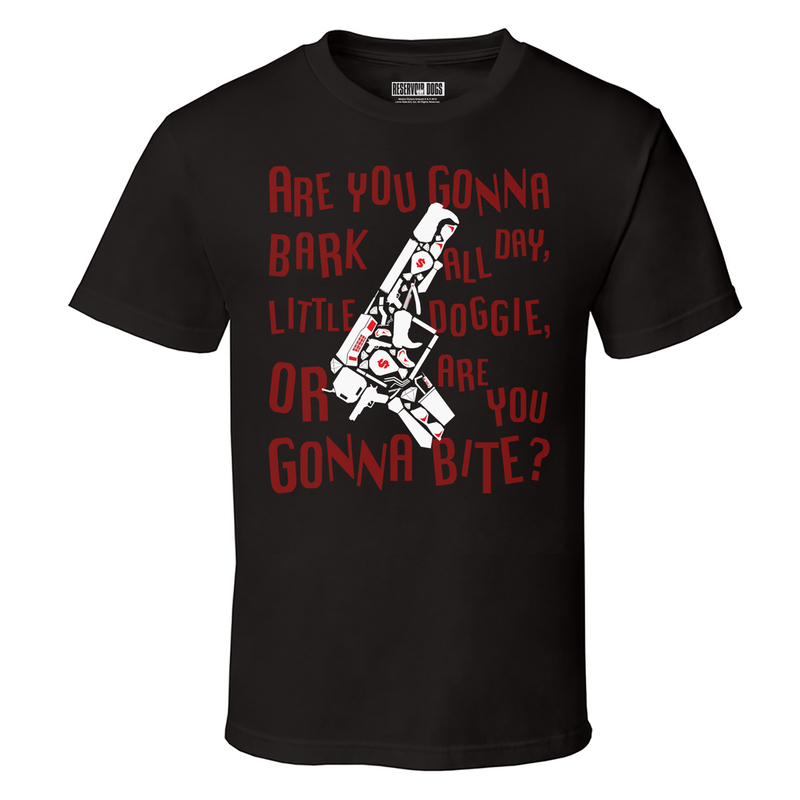 Are you gonna bark all day, little doggie, or are you gonna bite? Get your very own Reservoir Dogs Mash Up T-shirt. A must-have item for any fan of the cult classic. Motion Picture Artwork ®, ™& © 2018 Lions Gate Entertainment Inc. All Rights Reserved.